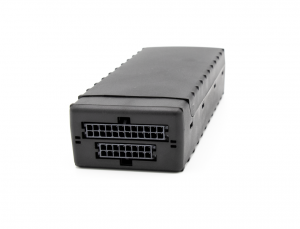 FleetLink Mobile AVL is a next-generation telematics gateway designed with built-in ECU (Engine Control Unit) vehicle interface technologies for both light and heavy-duty vehicles. Based on the LMU-3640™ device from CalAmp, it features cellular, Wi-Fi and Bluetooth connectivity options, plus a triple-axis accelerometer that detects and acts on hard braking, aggressive acceleration or vehicle impacts. 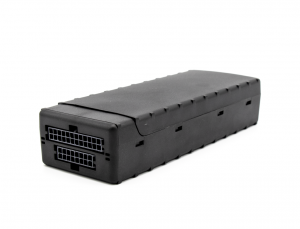 The built-in ECU (Engine Control Unit) interface reads and transmits engine condition and performance data such as engine temperature and fault codes from both heavy duty and light duty vehicles to provide the best possible real-time picture of vehicle health. FleetLink Mobile AVL delivers automated vehicle location and status of your service vehicle fleet when and where it is needed. Real-time GPS-based vehicle tracking data analysis with the FleetLink suite of back-office applications, including FleetLink Map, enables easier fleet management.